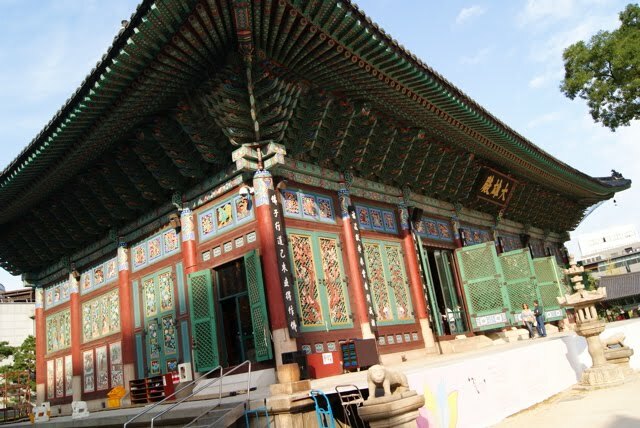 When we visited Seoul for business, we took time in visiting different temples. 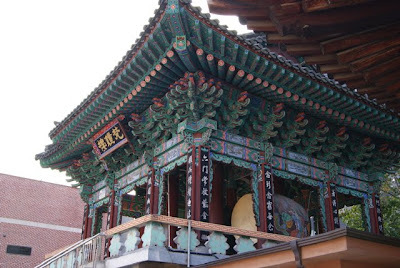 One of the temple we visited is Jogyesa Temple located near Insadong. The garden that surrounds the temple is newly renovated. There are at least 2 temples located in the vicinity and yes, we visited them too. Insadong is place in Seoul that housed ancient tea houses, antique shops and boutiques. This is our favorite place among other modern places we have seen. If you want to see the tradition and culture of Korea, then this place is the best for you. 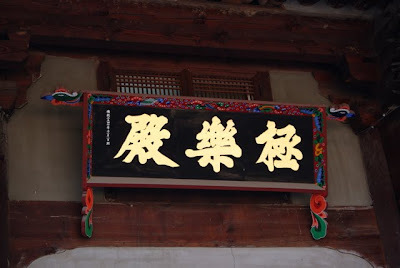 The sign in Korean language. Sorry I cant translate that for you. This is my entry for My World Tuesday. whew. ako sa koreanovelas ko lang napapanood ang mga ganito kagandang temple. sana I ccan visit Seoul too.